$75,000 Lifetime Equipment Protection Policy (LEPP). 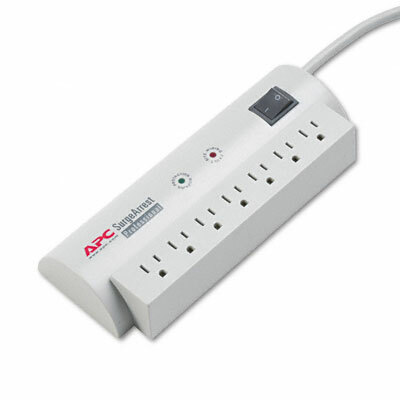 Seven outlets with a maximum 85V let-through provides excellent protection. You'll feel secure with a building site “Wiring Fault” indicator that identifies dangerous wiring problems. The easy-to-view “Protection Working” indicator warns if unit’s circuitry is damaged. Unit keeps your data safe with noise filtering that prevents glitches and errors. Catastrophic event protection provides additional peace of mind. Backed by a generous $75,000 Lifetime Equipment Protection Policy (LEPP). UL Listed/CSA Approved for additional assurance. Coordinating beige console and cord complement any décor.